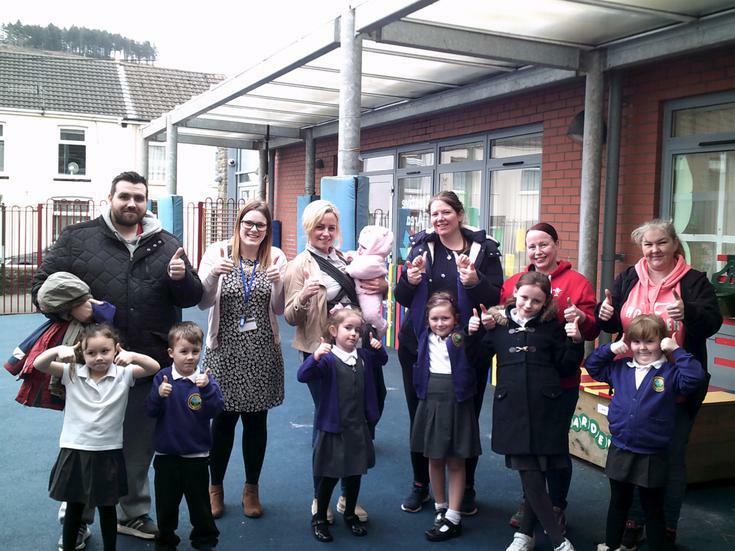 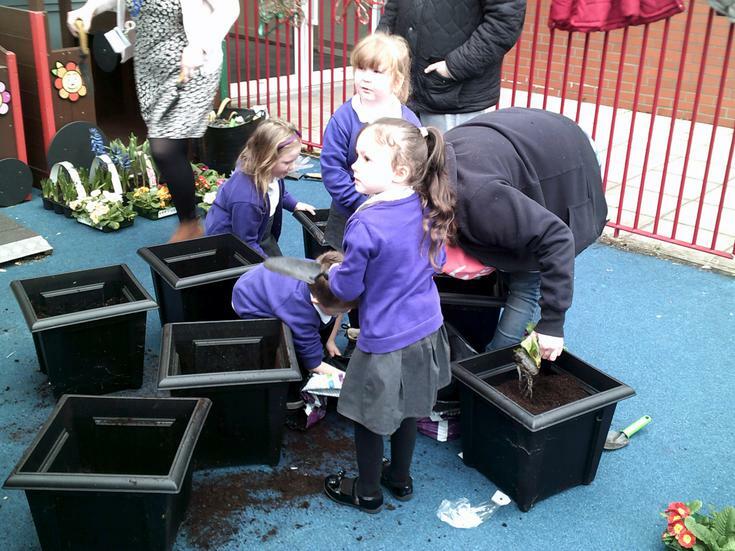 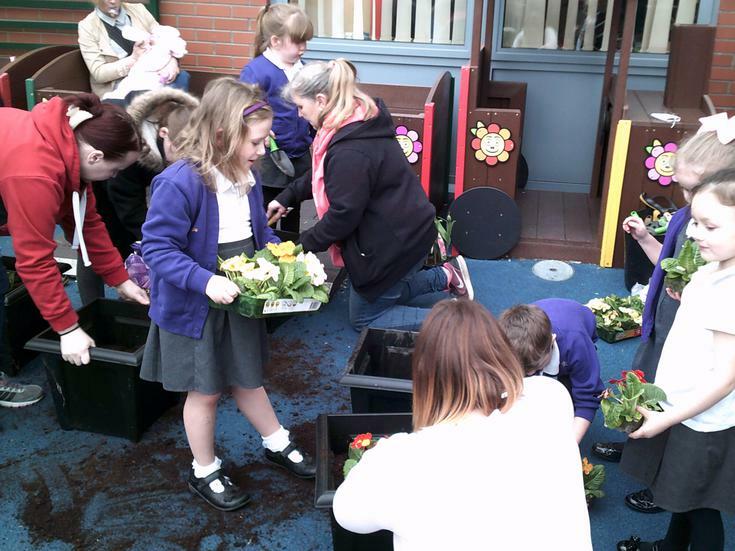 Some children and parents stayed after school to help us fill our empty planters at the main entrance. 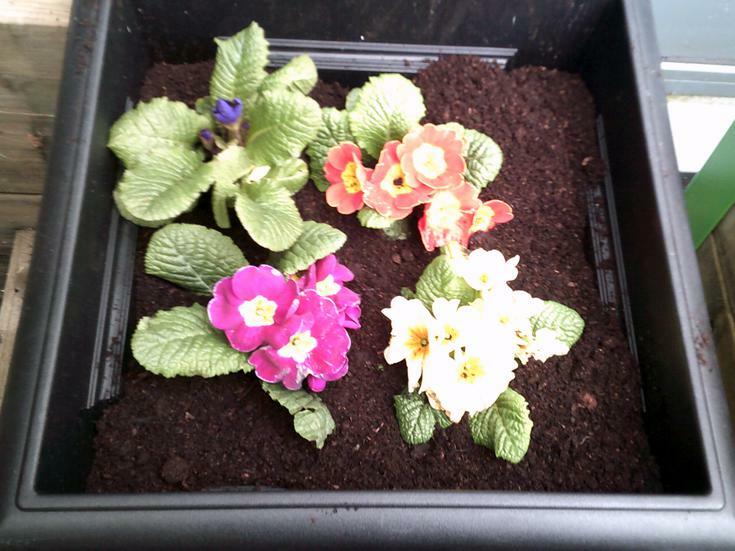 B&Q in Pontypridd kindly donated some plants and compost, THANK YOU B&Q!! 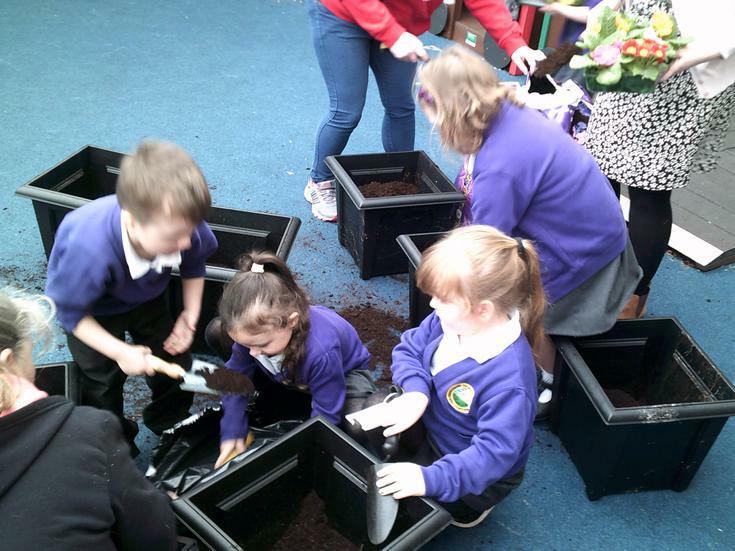 Everybody got stuck in filling the pots with earth. 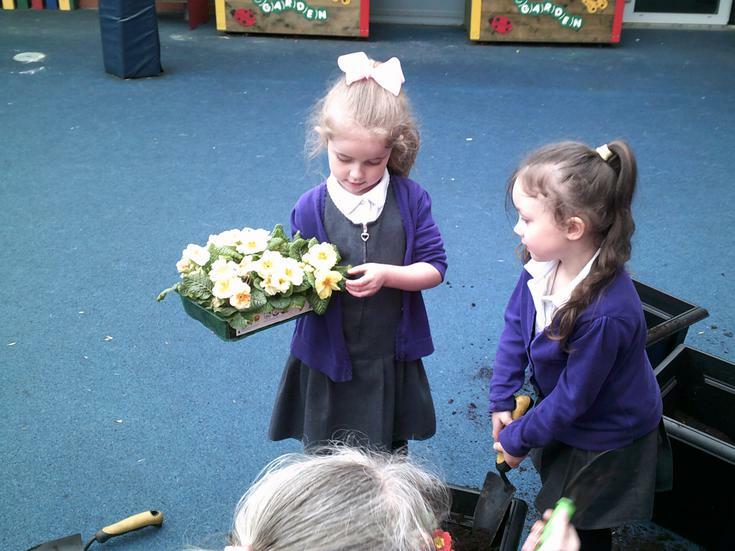 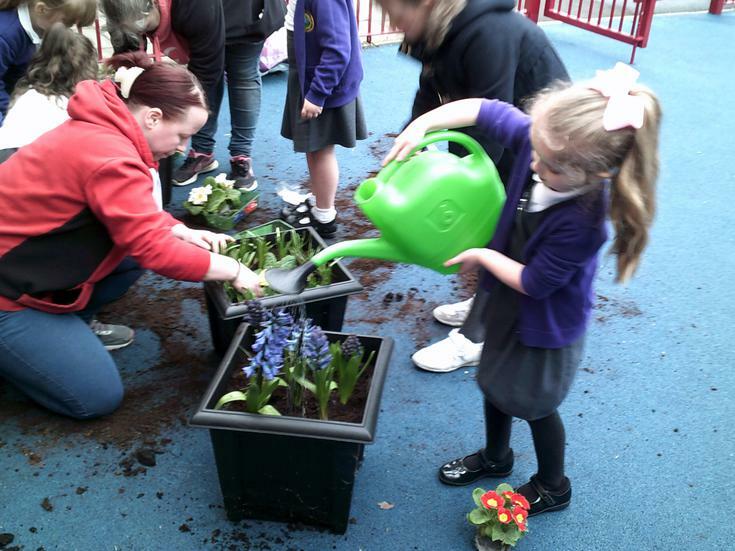 The children chose some flowers to plant. 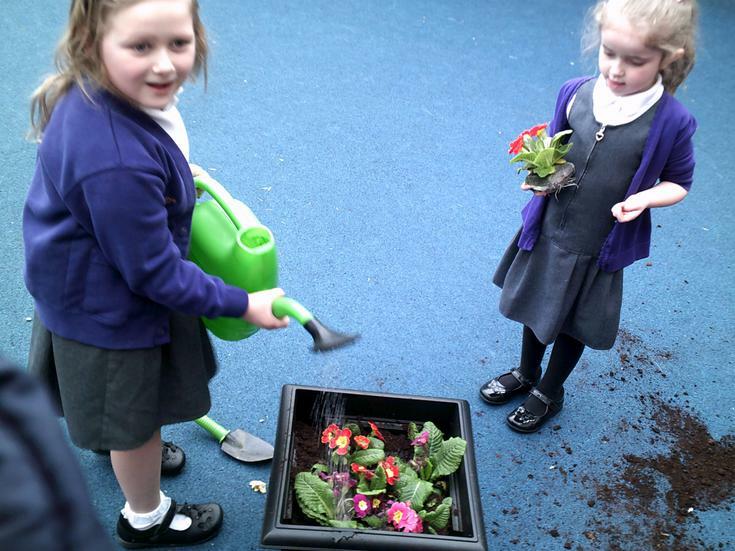 We had lots of beautiful colours! 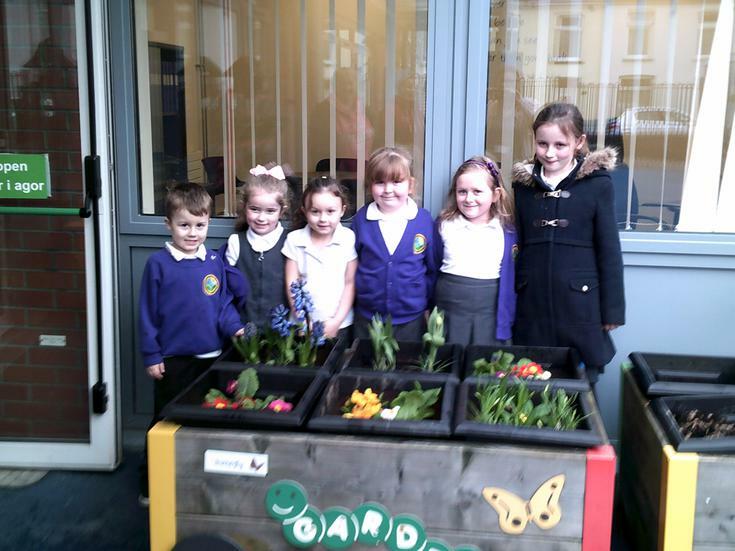 They all did a fantastic job.